If the “2014 Color of the Year” – the bright pink-purplish Radiant Orchard – was too bold for your tastes, you may find Pantone’s 2015 color choice a perfect toned down hue: Marsala. The earthy wine red is expected to warm up more interiors in the new year, and it may become your new go-to color in home staging in 2015. 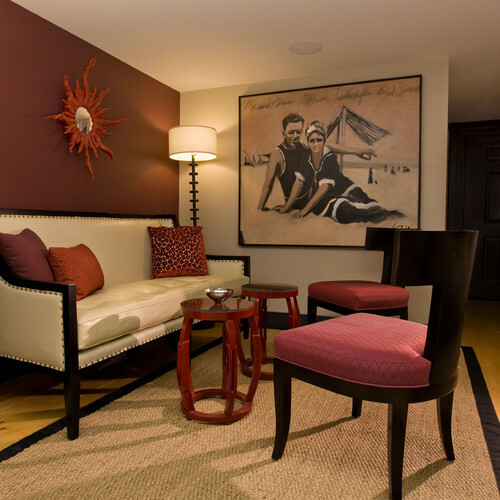 Since the shade isn’t as overpowering as its predecessor, Marsala can be a unifying color element for interior spaces that can add a pop of color without proving to be a distraction. “Nurturing and fulfilling, Marsala is a natural fit for the kitchen and dining room – making it ideal for tabletop, small appliances, and linens throughout the home,” says Leatrice Eiseman, executive director of the Pantone Color Institute. In prepping homes for sale, expect to see the rich red tone to show up in more accent pieces and accessories in 2015, from vases and throw pillows to patterned rugs. Pantone says that textured surfaces enhance the color, which will likely make it also a popular choice for rugs and upholstered living room furniture. The color is also expected to be prominent in stripe and floral patterns, such as in printed placemats, dinnerware, bedding, and throws. This entry was posted in Home Ownership, Market Trends and tagged Hampton Roads by remaxalliancevb. Bookmark the permalink.